Israel Peace Initiative IPI is proud of the organizations it has supported over the years and the great accomplishments they have made in advocating for Israel on their respective campuses. The students are fully independent, determining their own charters, activities and means for expression. All share a dedication to seeing Israel fairly represented on their campuses and exposing the lies perpetrated by the anti-Israel forces. Each group serves a different need on their respective campuses and determines how much involvement they want from the IPI. Our mission is to advocate for Zionism: the national movement of the Jewish people, whose homeland is Israel. Our members span the political spectrum, but we are all committed to both proactive and responsive advocacy of Zionism. Our purpose is to provide a medium for discourse for the campus Jewish community; to inform the campus Jewish community; and to give a voice to the campus Jewish community. 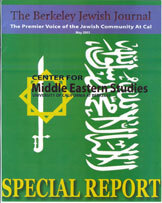 To expose and critique violent, oppressive political movements and social mores originating in the Islamic world that target women, dissidents and religious minorities, and to demonstrate how ignoring or downplaying such trends threatens the health and existence of current and future open societies. 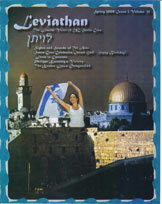 Leviathan Jewish Journal is a student-run, quarterly publication at UC Santa Cruz. We publish articles on local Jewish culture and politics and also national and international issues of interest to Jewish readers. Leviathan is the Jewish voice of UCSC. Spartans For Israel is a non-partisan student run organization whose mission is to build alliances and relationships with the different student organizations by educating the San Jose State University campus community on the current situation in Israel and the U.S./Israel relationship. INSIDE TERRORISM is a photography exhibit which uses actual X-rays and CT-scans from the two largest hospitals in Jerusalem to explore the most important social issue of our time: The effects of terrorism on a civilian population.